Film Plot: A bored and sheltered princess escapes her guardians and falls in love with an American newsman in Rome. Grade: C3	Good. Folded, single-sided. Prior to linen backing the poster had ~2" trimmed off the top and ~1" trimmed off the bottom edge; missing signature at the top, part of fine print in lower left and half of paramount logo in the lower right. There was a snipe over portions of Hepburn's dress and the arch and several punctures to the image. Expert restoration including paper fills and airbrushing to the background have addressed all of these flaws and the poster now appears very fine to near mint. Audrey Hepburn is one of the most beloved actresses to grace the silver screen and Roman Holiday was her ticket to stardom! Starring opposite Gregory Peck, Hepburn played a sheltered princess who longs to experience the sights and sound of Rome without her royal trappings. 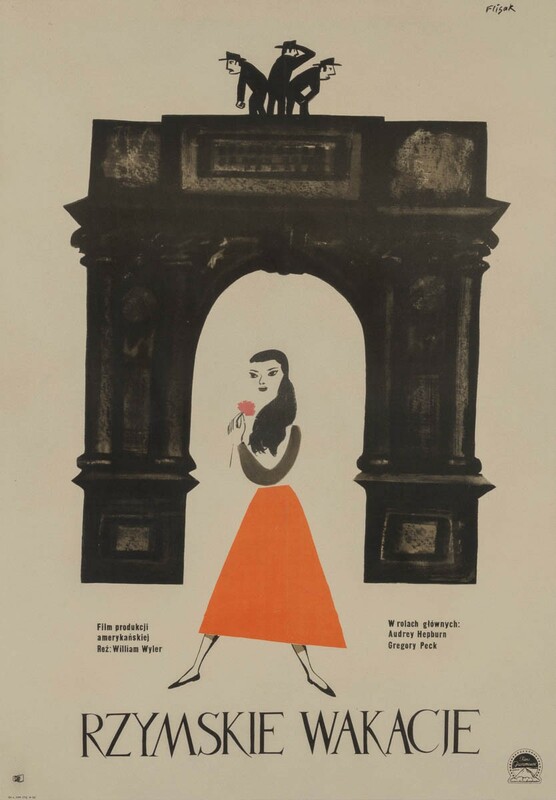 Roman Holiday was a massive success and no doubt inspired countless trips to the Italian capital — not to mention that Vespa probably owes it success to the film as well! 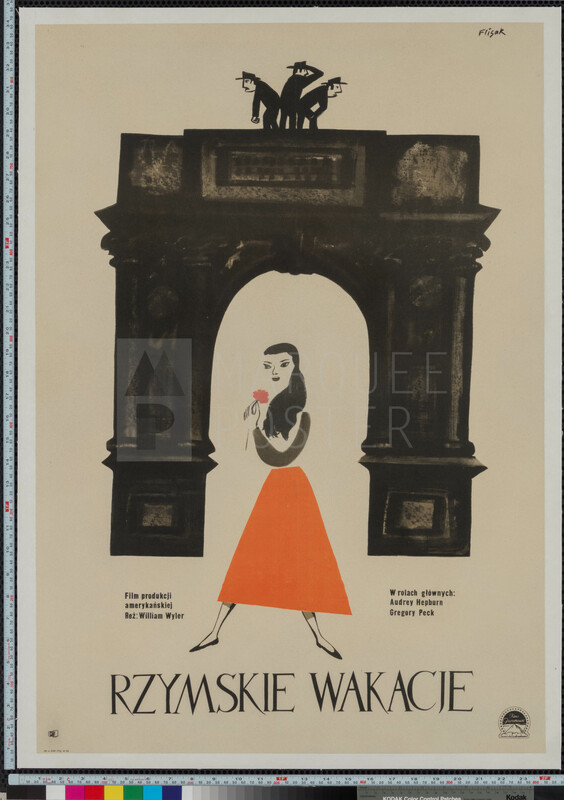 This playful Polish design is gorgeous and highly collectible.